Growing up under the oppressive rule of the Snake Men, D’vann was driven to rebel against injustice when his brother was captured and eaten. 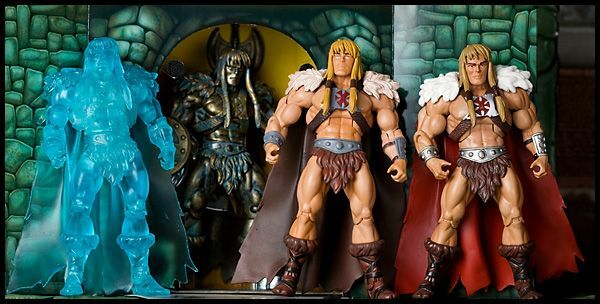 Others flocked to Grayskull’s banner and his legend began to grow. 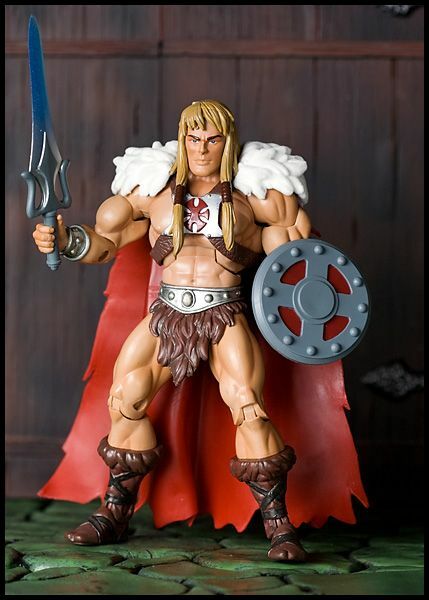 Declared King for his courage, compassion, wisdom and strength, Grayskull became a great leader, ruling along with his council of wise Elders. 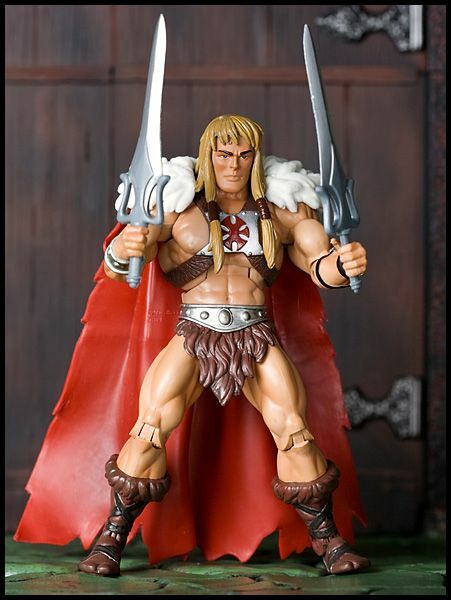 A destined guardian of the Sword of He, Grayskull magically passed his essence into the blade with his last breath — ensuring that only his heirs would now wield it and tap into the great power it harmonized with. 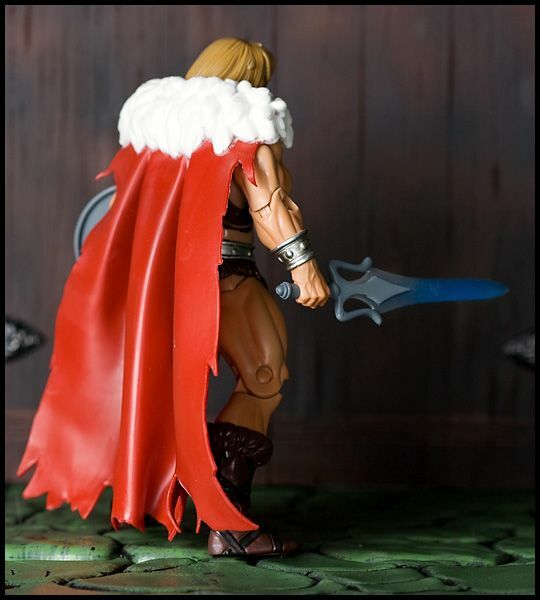 After his death, the sword was split in two and its power transmuted into a great orb inside his castle, protected by Grayskull’s devoted and loving widow. 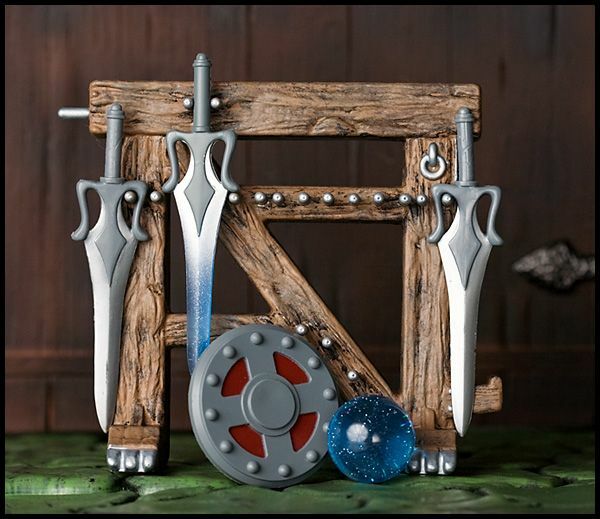 Accessories: Orb of Power, "Energy Transfusing” Sword of Power, 2 Halves of the Power Sword, and Shield.